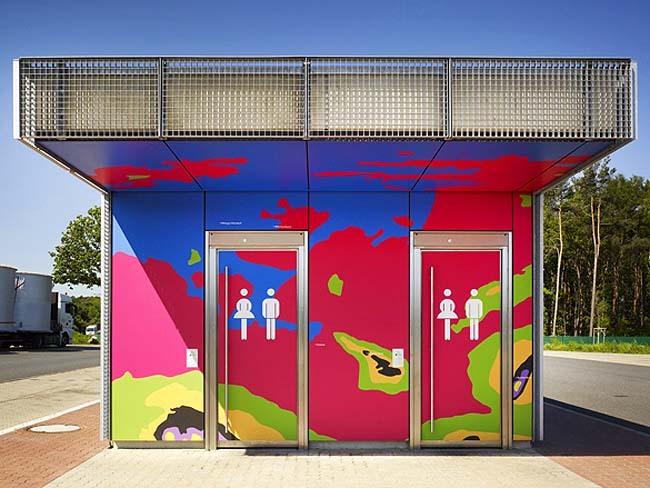 Stuttgart-based visual communications firm Büro Uebele (previously here) has designed a series of colorful rest stops/motorway toilets for the Lower Saxony region of Germany. These bright objects that seemingly glow by the roadside, not only relieve the monotony of the highway landscape, but do so using topographic maps of the area that have been digitized, assigning different colors to the varying altitudes of that specific location. 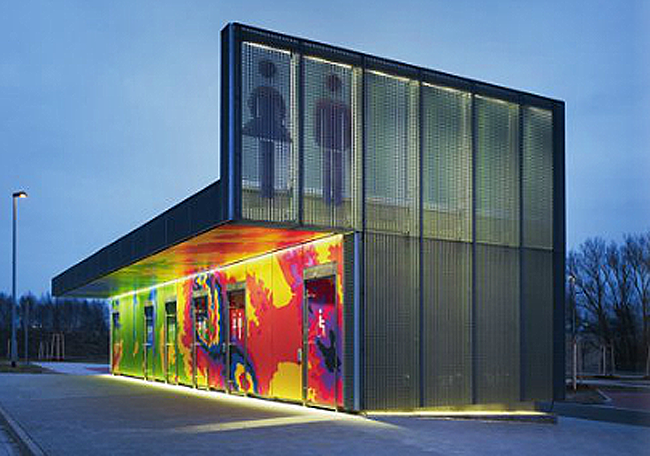 The results are cheerful, abstract-looking patterned façades that would deter the best of graffiti artists. Photos by Christian Richters, courtesy of Büro Uebele. This entry was posted in Architecture, Graphic Design, Stuff We Like. Bookmark the permalink.